The history of Buenos Aires can be told from the Panamericano Hotel viewpoint. Magnificent details of Buenos Aires architecture, domes, century-old buildings, modern skyscrapers, the privileged view of the obelisk, Colon Theatre, the Palace of Justice and 9 de Julio Avenue. Those who discover such a view are impressed, the best location in Buenos Aires. Located in the city center, opposite to the obelisco, the Teatro Colón and Avenida 9 de Julio.One block from the mythical Corrientes Avenue, house of the most famous theaters and shows in the country. Just a10 minutes walk from the fashionable Recoleta. Each room at Panamericano hotel is exquisitely decorated and designed for our guests to enjoy Buenos Aires unique ambience. 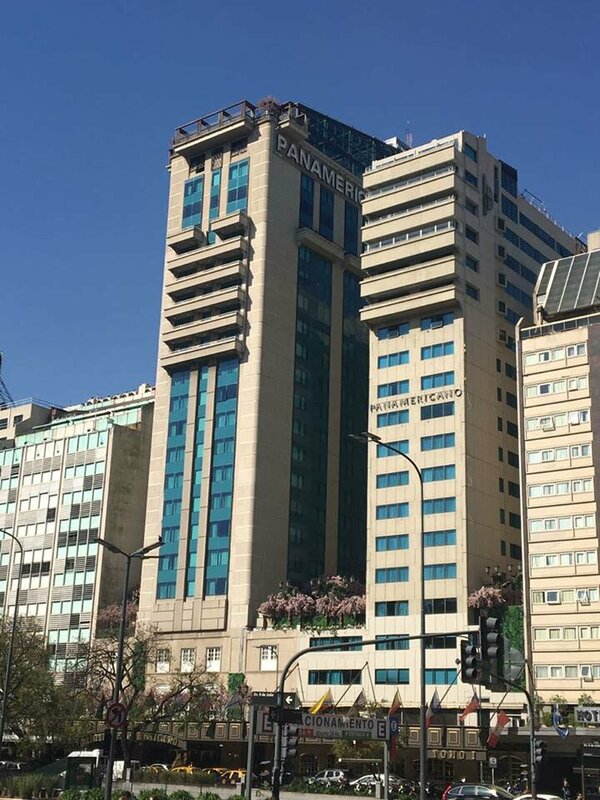 The Panamericano hotel stands out for perfectly combining elegance, comfort and preferential service to meet the expectations of the most demanding guests. Located in the city center, opposite to the Obelisco, the Teatro Colón and Av. 9 de Julio. One block from the mythical Corrientes Avenue, house of the most famous theaters and shows in the country. Just a10 minutes walk from the fashionable Recoleta.